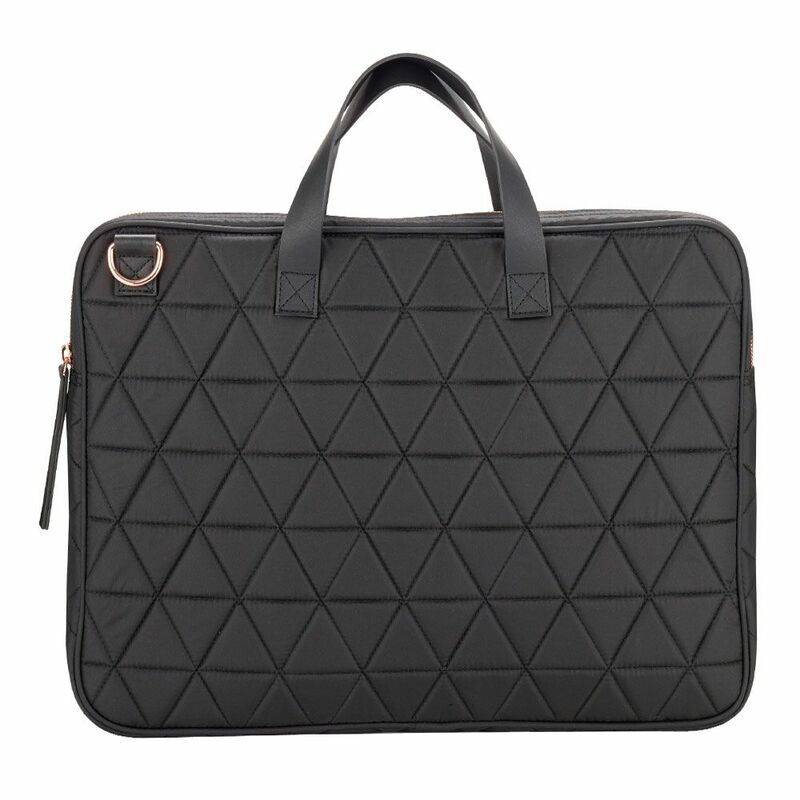 A fashionable yet professional work or laptop bag. Could also be used for a cabin bag. Quilted padded exterior with rose gold finishing gives this bag a simple, yet smart and striking look. 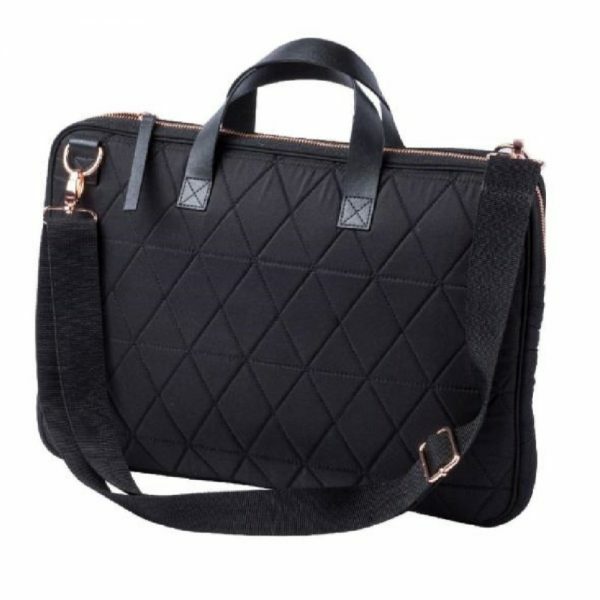 Will fit most standard 15 inch screen laptops, or can be used as an alternative to a briefcase for work documents or projects. It comes with a detachable shoulder strap which clips on to 2 substantial metal loops on either side of the bag.